Charles Haddon (CH) Spurgeon (/ˈhædən ˈspɜrdʒən/; 19 June 1834 – 31 January 1892) was a British Particular Baptist preacher. 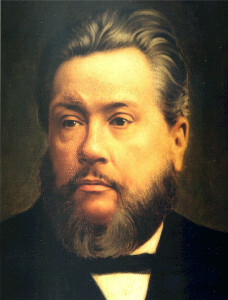 Spurgeon remains highly influential among Christians of various denominations, among whom he is known as the “Prince of Preachers”. He was a strong figure in the Reformed Baptist tradition, defending the Church in agreement with the 1689 London Baptist Confession of Faith understanding, and opposing the liberal and pragmatic theological tendencies in the Church of his day. This entry was posted in Roman Catholic Church, The Papacy and tagged AntiChrist, Catholic Church, Charles Spurgeon, Church of Rome, Mother of Harlots, Papacy, Roman Catholic Church. Bookmark the permalink. Yeah, maybe the prediction echos in the Romish Church, but the AC will be/is now coming out of Militant Islam in the M.E…..
We’ll see what their eventual reach is like. I once thought that myself but I wouldn’t rush to judgment yet.